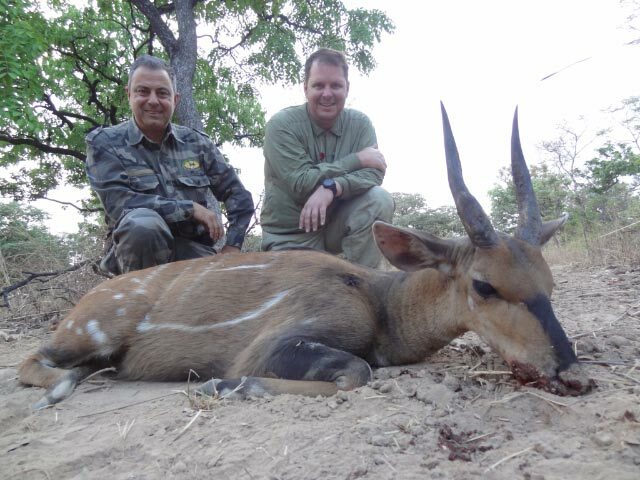 Byron and Quint Burris from Victoria, Texas just completed the most successful safari in the history of Patrick Dahlan's Faro East (which says a lot when you consider Faro East has been 100% on Lord Derby Eland for a decade and the same for almost all of the A and B species listed by the Game Dept). 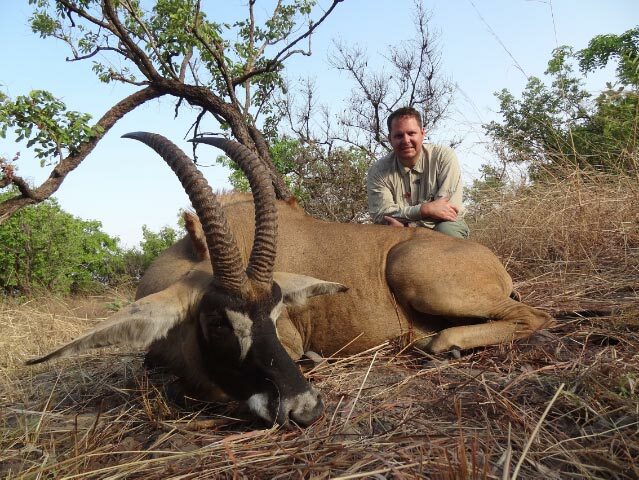 Byron Burris was the winning bidder for Faro East's third straight Lord Derby Eland donation at the Dallas Safari Club Convention through Shunneson & Wilson Adventures. 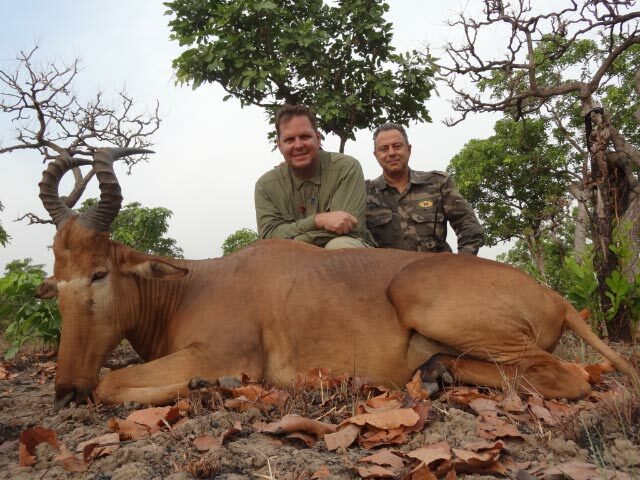 He then upgraded to two full safaris, and his brother did the same so they could hunt together 2x2. 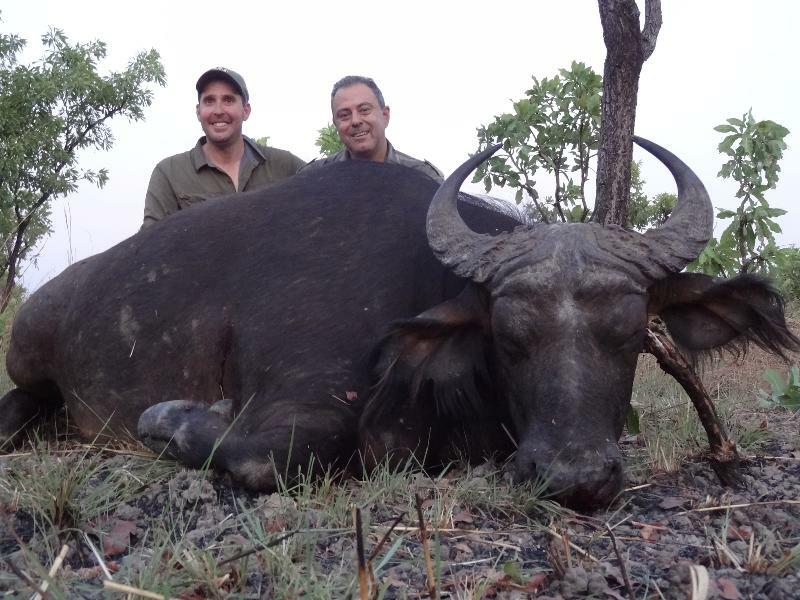 After quickly succeeding with excellent Giant Eland, Byron and Quint tracked down and shot Western Savannah Buffalo bulls followed by Western Roan to take care of the 3 Class A animals they each wanted. 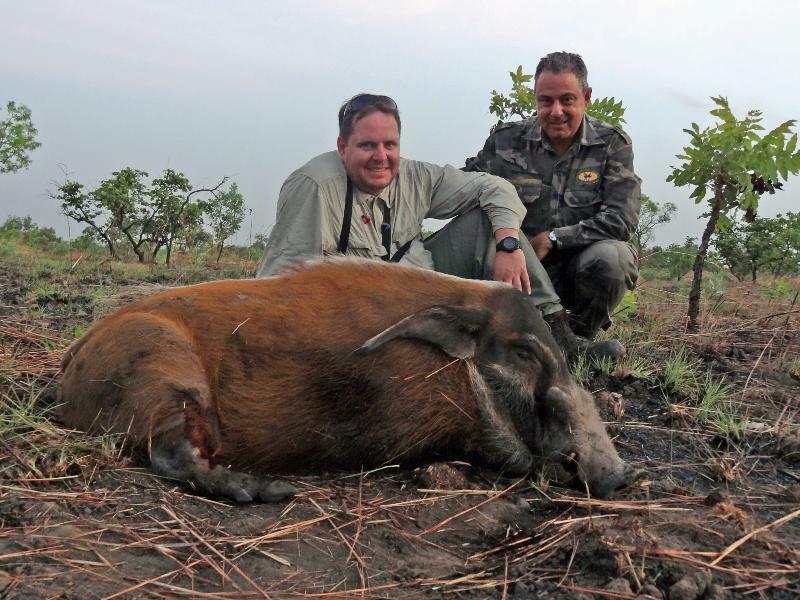 Red River Hogs are more typical of Forest hunts, but Faro East has some excellent habitat for this species, which was on Byron's wish list and he shot a good one. 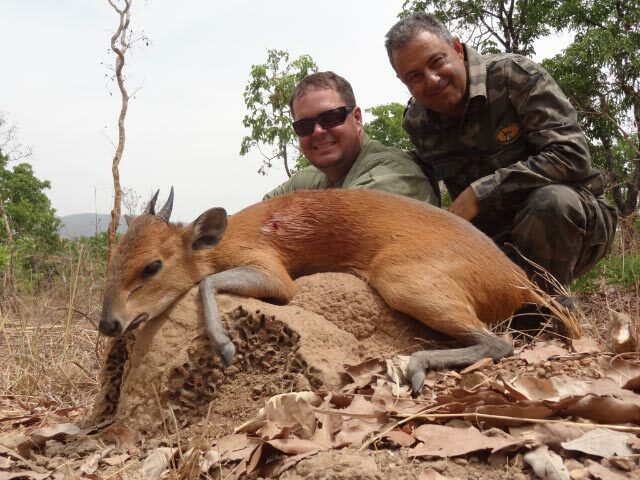 Duikers and small antelope are an important part of the Class B list of animals available. 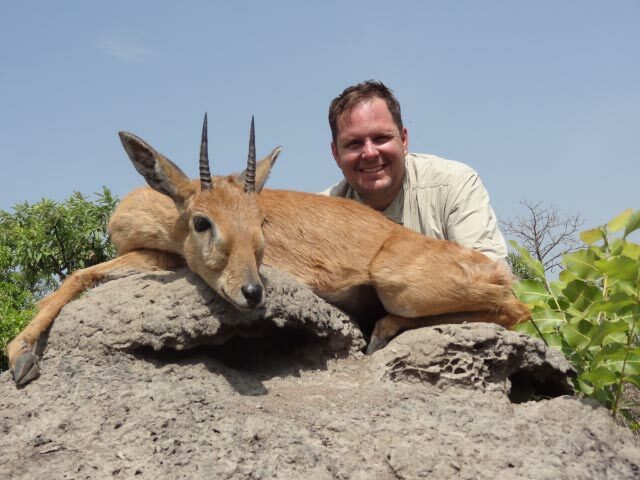 Only 4 Class B animals may be shot on each license. 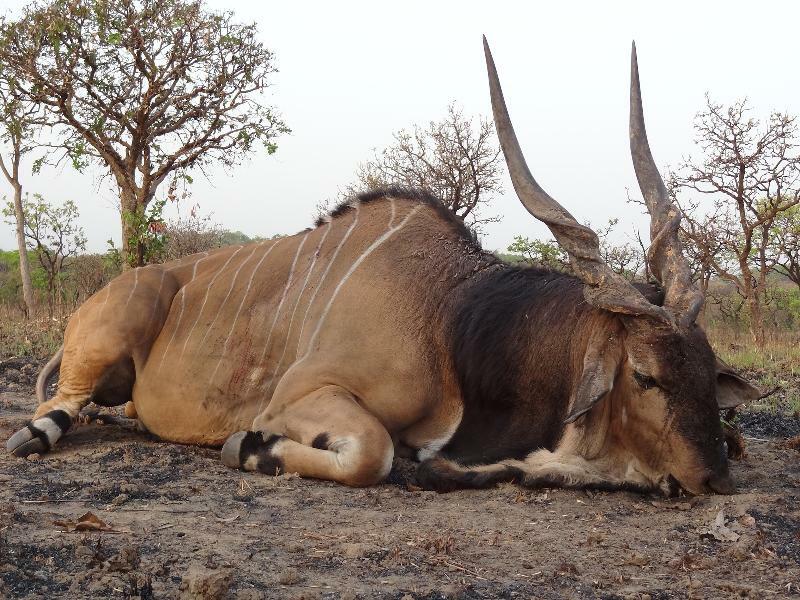 Everybody shoots 4 on a 12-day Lord Derby Eland safari, but to shoot 3 Class A and 8 Class B on one safari takes perseverance, ability, and luck. 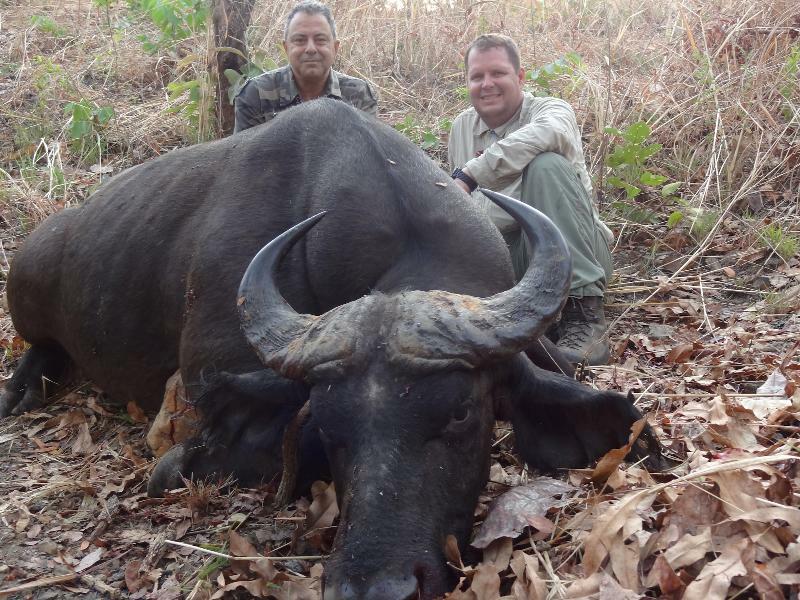 Incredibly, Byron and Quint shot them all in a week and then returned home earlier than expected just last month, which is not a problem in Cameroon with the daily non-stops to and from Paris. 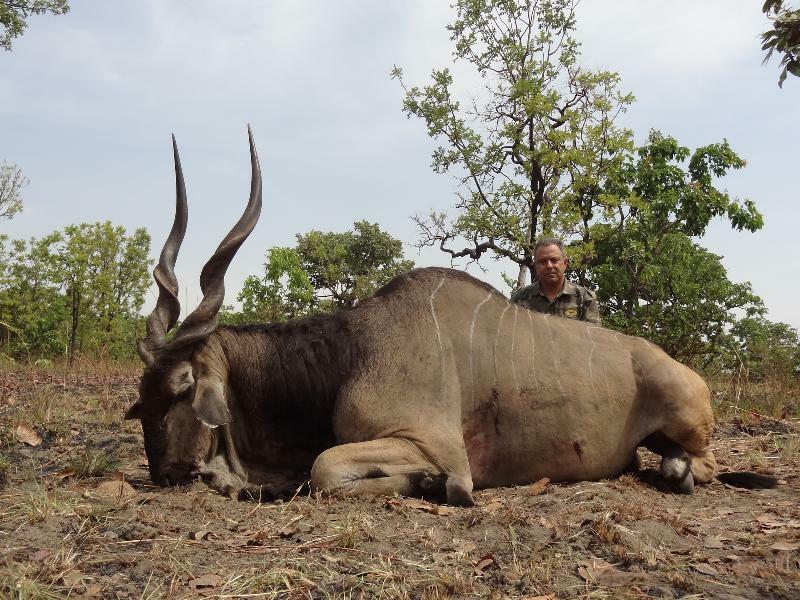 The savannah hunts take place January - March when the necks of the Lord Derby Eland are black and the temperatures are reasonable. The 2014 season is filling fast, but there are still openings every month (January - March) for 2015. 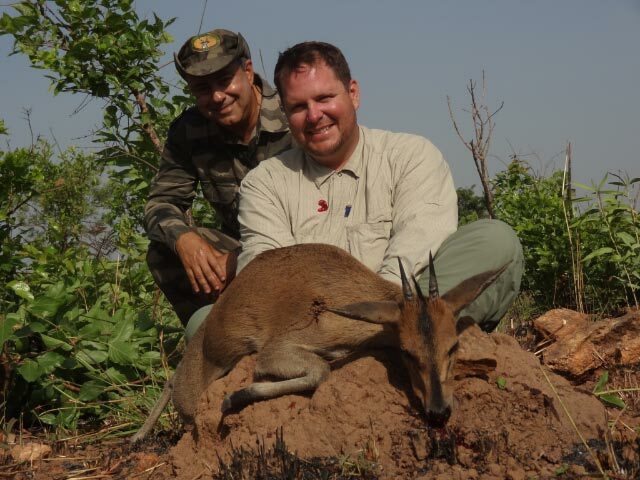 CONTACT SHUNNESON & WILSON ADVENTURES REGARDING FARO EAST IN CAMEROON, CAWA AND RED BUFFALO SAFARIS IN THE C.A.R., UGANDA WILDLIFE SAFARIS IN UGANDA, JASMIN SAFARIS IN IRAN, JAGDKONTOR SAFARIS THROUGHOUT EUROPE, AND 2/3 OF THE NORTH AMERICAN 29, AS WELL AS OUR "UNIQUE" HUNTS (AZERBAIJAN, GREECE, NEW CALEDONIA) AND LAD'S FANTASTIC BILLFISHING BARGAINS.